Why are H170 motherboards recommended for a "modest" build? Wouldn't be better to use a B150 that are cheaper and are used in the "great" build (https://pcpartpicker.com/guide/d3BD4D/great-gaming-build)? I have little knowledge about motherboards and I would like to understand the pros/cons besides the price. Seconding Cejotas here; I'm a total noob at building a computer, so is it worth buying a more expensive H170, especially if I won't be overclocking or linking graphics cards? I came here to ask the same question. I don't understand why the "modest" build has motherboard that is about $40 more expensive than the "great" build. You really should have selected the 450 watt and or the 550 watt Corsair CXM's too along with the other PSU's. I would agree with this for the most part, but the Corsair CXM series (even the newer gray series) is IMO good for builds with tighter budgets than this one. Like the Entry Level Gaming Build for example. A SeaSonic G series is a little bit higher and a little bit more expensive and I find one to be more relevant for this kind of build. But the gray Corsair CXM power supplies still remain good choices. The Seasonic G is definitely better but the CXM is better than the M12II and likely the CapstoneG if its anything like the 1200 watt one and I am wanting to say the Toughpower too. Just curious, how come it seems like you guys lean towards the HUEG end of storage capacity? I know storage is one of the most variable parts of a build due to everyone having different needs, but it always strikes me as almost goofy having 2TB of HDD storage for a build in this price range. Hell, I spent thrice the amount on my computer and have half the HDD space. Also that case looks pretty spiffy for being ~$50. Games can take up room fast. This imo is a modest storage setup. I have about 1.1TB used up on my HDD for games and a few other non games files and some backup of files ( not for itself though since that would be stupid) and about ~180GB on my SSD just with basic programs, the OS, and games. Plus a 2TB HDD doesn't cost much more than a 1TB HDD. I'm flattered, but honestly I'm not that knowledgeable about gaming PC's, my advice tends to be relative to my build. What are you hoping to get out of it? What games do you want to play and at what resolutions/framerates? Figuring that out is usually a good starting point. Thanks guys so much for helping. Im hoping to play games like cs go, gmod, black ops 3, and other fun pc games. as for framerates anything above 60 fps is fine. And the kind of help I need is basically building a gaming computer. I do not know what kind of intel core to get or what kind of motherboard is considered good. I just got into pc gaming and no nothing about it. I would like to start of with something under 700 dollars. As I get more into pc gaming I will get better and more priced computers. Any help that is good or bad is very much appreciated. You don't need to necessarily build my computer for me, just any kind of tips or help is fine. How about this one? It should play those 3 games pretty well. With $700 it is hard to get some really good components. I play Gmod on my current computer it runs pretty well(it's not top of the line nor a gaming processor). I don't know about the other games I know CS GO is not very demanding. You will need a keyboard, mice and a monitor. Yeah it is, however I marked it off my list because the internal io cables are rainbow colored and the big usb 3.0 connector is bright blue :(. You could probably paint them but I didn't want to go through the trouble. I am not good at all with computers and am looking for my first gaming pc. This build fits my budget and I like it a lot. Can anyone give me any suggestions on headsets, a monitor (1080p is fine) , keyboards, mouse, and OS for this build? Preferably an LED lit keyboard because I want it kind of flashy lol. Im not computer savvy either so please dumb it down for me if you are going to explain things ;) If you could help i would greatly appreciate it. Do you have any kind of budget? This is my first build, is based on the one presented here, what do you guys think? As for OS, would you reccomend going out and buying the Optical Drive to go along and get a disk copy of Windows, just in case you may need it in the future? How good is the quality on that PSU? I need to find a cheaper one for my build? The Seasonic M12II and S12II are some of the best budget oriented PSU's on the market, better than Corsair's CX Green series, and EVGA's B series. In general, Seasonic makes pretty good PSU's and their OEMs are good. The power supply used in this build is of very good quality and is an outstanding PSU for the price. You could also get a Corsair CXM Grey series PSU for similar prices depending on preference. In general, Seasonic makes pretty good PSU's and their OEMs are good. SeaSonic is their own OEM actually. The ASUS VC239H would be a great choice if you're on a budget, it is 1080p, 23 inches, and IPS, which means it has great colors. It's 60hz, and has very thin bezels. If you ever upgraded your GPU, you could easily get two more of these monitors at their very modest price to get a killer triple monitor setup. If you're looking for more than 1080, the Acer G257HU (and smidpx variant) are great 1440p IPS monitors. It's 25 inches, and around double the price of the VC239H. 60hz 1440p and it is a pretty damn good budget 1440p monitor. I can confirm that the first monitor you mention is a decent overclocker. I managed to get it to 72 herts before running into flickering, and my friend also highly recommends the second monitor as well. Is it possible to use the first monitor you listed and this gaming build to do a dual monitor setup? What would you use to connect them? HDMI, Displayport, VGA, or DVI? I was wondering why the RX-480 chipset graphics card has changed. Is this a newer, better card? In general, the 1060 6GB can get between 6-10% better FPS in games, however the RX480 can pull ahead in some DX12 games but it's not really a standard in the industry yet. The 480 can however be crossfire to add multiple cards, while the 1060 can't be anything but alone. For a budget, SLI should not be necessary anyways. In my country, the cheapest RX480 comes at $269.75 and the cheapest 6gb 1060 is priced at around $298.29. That's a 10.58% price increase. Which one would be worth it? Go with the 480. They're so close in performance, that price difference is your biggest deciding factor. Even if both cost the same, I would get the rx 480. Dx 12 is going to be the standard before you change the card, and the difference in dx11 games is almost nonexistant. Agreed, the 480 would be better in your case, cause the different in performance is less than 10%, and in DirectX 12 the 480 will beat the 1060. Plus, the G1 Gaming is a much better cooler than the Turbo. Another noob question: What else do I need to buy other than the obvious (monitor(s), keyboard). Windows 10 license? And if you were to spend a little more on this build, what would you upgrade? Graphics card? It looks like you're using a water cooler on the CPU and some kind of shroud on the motherboard? Damn that Dukase case in white looks gorgeous! I don't know much about video editing, but the little bit I have read mentions that video cards ironically aren't that important to video editing, despite how counter-intuitive that sounds. Your bigger concern should be with your CPU, where video editing utilizes multiple cores and hyperthreading. As far as I know the only program that heavily relies on a video card is DaVinci Resolve. And yes, an extra stick of RAM would be beneficial as well. I don't know much about video editing, but the little bit I have read mentions that video cards ironically aren't that important to video editing, despite how counter-intuitive that sounds. Down the page a bit they talk about component selection, after the example builds. Hi, this could be a newb question but someone please indulge me. The motherboard specification shows that it supports dual channel DDR4 2133 speed. Will it be a waste to include a DDR4 2400 speed kit? Or should I go for something along the line of HyperX 16GB FURY DDR4 2133MHz CL14 KIT? Thank you in advance for an answer! If your memory is clocked at a higher speed than your motherboard or processor supports, it would be a waste of money to purchase memory with higher clock speeds, but doing so should not cause compatibility issues. In other words, if your memory has a higher clock speed than your motherboard (or processor) supports, your motherboard or processor will downclock your memory. Nice choices. I'm curious as to your choice in SSD's would it be better to go for an 'Intel 600p Series M.2 2280 SSD 256GB'. it's not that expensive. would there be any downfalls over a 2.5" SATA? The Silicon Power SSD used in the build guide is to be honest rather poor quality and the Intel 600P SSD has a very low TBW durability / lifespan rating. This is a modest build so you can probably live with the stock cooler. Fans are pretty cheap, you probably don't need them, but you can if you want. Why get a GTX 970 when you could get a GTX 1060 6GB for less? Go with an i5 6500 and a gtx 1060 instead. Do I need a sound card for that PC? Motherboards have integrated ones, but you can buy one if you want one of higher quality. While an aftermarket CPU cooler can have better cooling performance, you don't exactly need to add a CPU cooler to the parts list since the Intel stock cooler provided with the processor should be sufficient. How come you went with one stick of RAM instead of 2 sticks of 4GB? I don't understand what you mean. If I replace the one stick of 8 with two sticks of 4, what exactly am I losing? Marko is saying you lose the option to upgrade without needing to get rid of one of the 4GB sticks. But he's incorrect in saying the board only has 2 slots, it has 4 so knock yourself out. I assume the author chose 1 8GB because it's pretty cheap for 8GB DDR4 RAM. Probably because single channel memory is/was cheaper. There's nothing bad about single channel memory. What would be a good CPU Cooler for this? No need for a CPU cooler as the CPU already comes with one, but the CRYORIG H7 is a pretty good cooler. The Intel stock cooler provided with the processor should be sufficient. Do you want an aftermarket CPU cooler? Newbie question but will you need any case fans for this system? if so what fan would you recommend? This would DESTROY CS:GO and also Payday 2. It's not a modest build. That's just what they have written. The 1060 is a top of the line graphics card, much superior in value, price, and performance to almost everything else on the market, minus the higher end 10-series cards/Titan/980Ti. The i5-6500 is basically the most you'll ever need for gaming. After the 6500, all the other options do not really improve frames for most games. This build is going to be running AAA games in 1080p/1440p at Ultra settings with often 60fps+. Now, this is what I wanted to hear.. It's not a modest build. That's just what they have written. The 1060 is a top of the line graphics card, much superior in value, price, and performance to almost everything else on the market, minus the higher end 10-series cards/Titan/980Ti. It's not really a "top of the line" graphics card. What about the RX 480? The i5-6500 is basically the most you'll ever need for gaming. After the 6500, all the other options do not really improve frames for most games. This build is going to be running AAA games in 1080p/1440p at Ultra settings with often 60fps+. That's not true. You can still get performance improvements in games past an i5-6500. It completely is a top of the line. It can play AAA titles in highest settings with 60fps+ at 1080p and close to that at 1440p. The RX480 is very similar, in price, performance, and value. However, the 1060 is better right now. The future may change that, or Vulkan may not catch on. Either way, both are great value but I would put the 1060, especially the 3GB version, as the best value card on the market. Yes, the i7-6700k is a very powerful CPU. It will definitely improve frame rates in some CPU-intensive games. This comparison shows that often, the i5-6500 is only 2-5 frames behind. In more CPU intensive games, this will definitely change, but not by much. 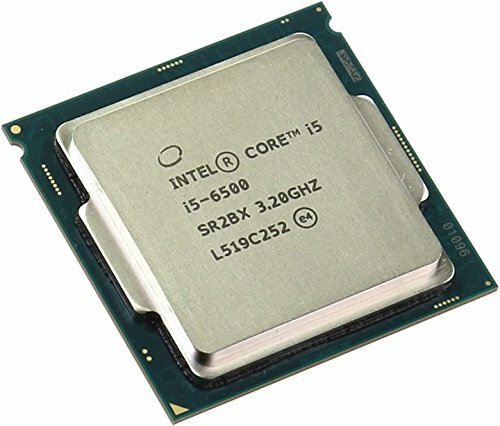 In editing, I'm sure that the difference becomes more visible, but for gaming, the i5-6500 is the one of the best value CPUs other than the i3-6100. This is because it hits a sweet spot of low cost and great performance. Uhh you do know there are cards that completely murder it and then mutilate it right like the GTX 1070, GTX 1080, Fury X, and the Titan XP. Its a far cry from being the top of the line. Also videocardbenchmark is a horrible site that is heavily biased against AMD cards. It can play AAA titles in highest settings with 60fps+ at 1080p and close to that at 1440p. 1080P isn't the latest and greatest anymore. It usually gets around 45FPS on max settings at 1440P, not what I would call close to 60 since it is a 25% difference. This comparison shows that often, the i5-6500 is only 2-5 frames behind. In more CPU intensive games, this will definitely change, but not by much. That test is in non CPU demanding areas i.e not what most people will experience during situations like multiplayer. Also videocardbenchmark is a horrible site that is heavily biased against AMD cards. Wow, that's yet another benchmark site biased against AMD. I still remember CPUBoss and GPUBoss. If I subbed in the Asus Z170-P ATX LGA1151 mobo, would that still work? Would it need a fan? I'm leery about getting a ASRock. I've had problems with them in the past. Like with peripherals, OS, and such? Are you able to make a full setup with all of those peripherals for $750? Can this build run Rainbow six Siege? Of course. Highest settings with 60fps+ in 1080p/1440p. Yes because the 500 GB HDDs from obsolete laptops are older than the current HDDs used in this build guide and therefore would be slower. I more meant in the sense that the motherboard would have more ports being used and might be overloaded (I'm not overly familiar with what makes one motherboard better than another other as long as all parts are compatible and not bottlenecked due to the board). Even with older 5400rpm HDDs, I would imagine internet speed would bottleneck downloading/uploading online, USB would bottleneck transferring to/from other devices, so all that's left is the PC reading whatever it is currently using. Other than gaming, the computer will mostly be used for typical internet browsing and movies so I wouldn't think it'd be a problem. I guess I'll rephrase my question. Will using multiple ports for 3 or 4 smaller hard drives affect read/write speed over a single large hard drive (all else equal)? Other than playing games, is there anything that would cause a 5400rpm SATA 3 drive to be noticeably slower than a 7200rpm SATA 6 (OS and frequently used applications will be installed on SSD)? Would the gigabyte GV-RX480D5-8GD-B rx480 be a better buy for this build for the same price as the 1060? The difference isn't overly significant. 1060s are slightly better now but 480s will likely be a little better once DX12 becomes the norm. cool. I was thinking the 480 would age better than the 1060, so that is why I chose it. thanks! That's more of a Google question. There are sites called system requirements lab and logical increments that should help you out. Does this build meet these purposes, or is there a way to optimize for my listed needs? Would this build allow me to use a controller wirelessly, Xbone or PS4? Would Black Friday be a good time to start trying to pick up various parts on sale? As someone who has been considering breaking into the PC gaming scene for a while, I want to make sure I do it right. Therefore, I wanted to check with you guys first. Thank you for any help. Also, anything else you can think of I should know, feel free. This build will definitely beat out consoles. I wouldn't think there are many titles it can't run 1080p at 60 fps. As for mods, it really depends on what you plan on doing. Graphics mods can get pretty intense and as for gameplay mods, if there are a lot more objects to render than the game is meant for, a 1060 might struggle. I can't speak for current gen controllers since I've never done it but Xbox 360 and PS3 controllers are easy to set up. You can find free drivers online for wired connections, wireless would require a dongle. Check out amazon for those. I'd definitely check out major sites on black Friday but since this website finds the lowest available price at any time I can't imagine the savings will be too significant anyway. Sounds good. Thanks for the input. I appreciate it. Would anyone know the specs be for the following games on this build? battlefront, GTA 5, NBA 2k17, Skyrim or oblivion. It would easily destroy all those games with 60fps+ on highest settings in 1080p/1440p. I'm looking for pc for my son to play WoW. Will this setup run it in ultra? I'm looking to play and stream would this build be fine ? Also could i change the mid tower case or was there a reason that you have that case ? Also could i change the mid tower case or was there a reason that you have that case ? You can change the case as long as the case is good and compatible. Question, I'm new to building PCs. Say if I buy everything on this list will that be all I need? or will i have to buy other peripherals like sound cards and wireless cards etc? Not a sound card, but unless the motherboard has a WiFi chip (it probably doesn't as that is usually included in the name of the mobo), then you'll need a cheap network adaptor. You will need to purchase peripherals to use your computer, but you don't need a sound card unless you want to do high end sound stuff. Hi,I am new to this site and computer building altogether.I have modified the parts list a little,by adding memory and reducing SSD size and changing the motherboard to a cheaper one,to stay in the price category.My main use will be computer for office use,we mostly use internet,so anything will really do,and Battlefield 1 gaming.Since I am a real noob at this and don’t know what the heck I am doing,I though it would be a good idea to increase memory size to 16gb,will I need that,or should I just stick to the original configuration in this parts list.I saved my config. under"my fist build". Hi I am new to pc gaming, would this be a good pc to play games like Black ops 3, GTA v mods, Gmod, and cs go? Also what knd of monitor would go good with this? Im looking for dual monitors btw. Would the Acer G246HL 24 inch be a good dual monitor for this type of a computer? Please don't tell me you want dual monitors for gaming. What do you not like about dual monitors? Most people agree two screens isn't ideal for gaming. If you want more than a standard monitor you should go for ultra wide or three monitors. Having the display spliced right down the middle is pretty hard to ignore. 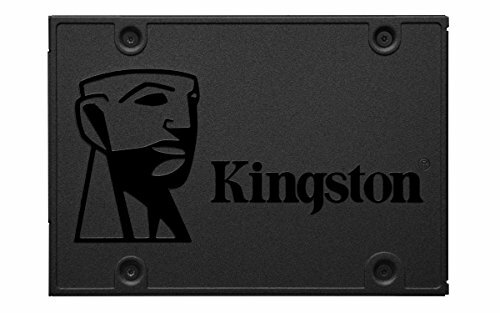 Would this build be capable of streaming 1080p games from PS4 through an el gato or other capture card? I am supposed to buy the iphone 7+ which is $989... WHAT THE HELL? I totally forgot i needed a pc and i was here going to waste thousand dollars on a phone. I wanna buy a gaming pc and this seems right. I am 16 and all my money are being paid by my parents, how can i buy all these parts? Am I able to get all these parts prebuilt, since I have literally no idea how to make a pc. Also one last thing, do I have to buy each of these parts individually? What about the the $989 iPhone 7 wasting thousands of dollars and a PC? I don't understand, and can't tell if this is a troll or not. You can purchase the parts by clicking the blue "Buy" button next to each part on the list which will take you to a retailer. If you don't know how to assemble a PC yourself, you can either take a look at some "how-to" PC building guides or pay someone else to assemble the PC for you. Oh yeah i got that. If i buy the part individually from different websites will they all come exactly on same time? Hey guys, I'm looking to see what you guys would add if you needed this comp to be wireless capability. Also i'm primarily using it to play LoL and WoW on ultra settings so I'm not sure if its' over kill? 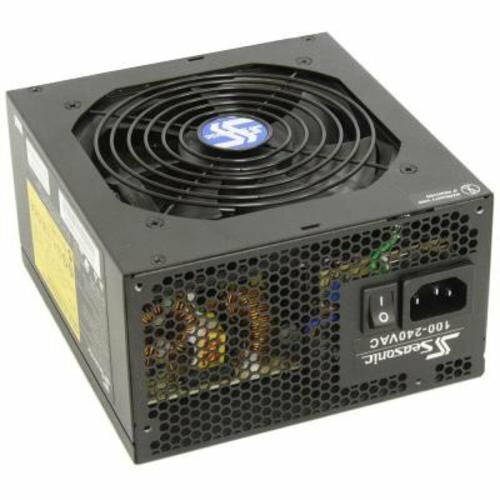 Hi, I am wondering EVGA 500W 80+ Bronze Certified ATX Power Supply instead of the SeaSonic 520W 80+ Bronze Certified Fully-Modular ATX Power Supply. Would i still have enough power to run all parts at maximum efficiency? TLDR: Can I save a few dimes by using EVGA 500B? Can I play FPS Games on a 144hz Monitor in 1080p, with over 144FPS? Hello, would you recommend this build to play the latest version of WoW? Also, it doesn't seem to include WiFi or NIC card, is there a good gaming build already complete with everything needed to play games online? The machine will work with ethernet. For a wireless connection you would need to add an adapter. This part list will have zero issues with WoW. Hey, seriously thinking of this build. Would like to add an optical drive. Description states 6 SATAs, purchaser mentions 2. Does it have 6 and can I add optical drive as it is? Also, any suggestions on an inexpensive bd/DVD/cd RW that is compat? Still, seriously thinking of this build. Would like to add an optical drive. Description states 6 SATAs, purchaser mentions 2. Does it have 6 and can I add optical drive as it is? Also, any suggestions on an inexpensive bd/DVD/cd RW that is compat? So, I'm very new to building computers, but I can navigate my way around one if I needed to. I'm just wondering, do you really need both of the storage devices? I mean you have the RAM, and you would have the 2TB if you got the Hitachi Ultrastar. So do you also need to get the AMD? I'm still new to this so I don't know. Thanks! It is my first time building a computer so any tips on how to make this build better without a huge price increase or make it cheaper with about the same performance would be very much appreciated. Okay, so I purchased this exact build. My problem is, I can't get my 1060 to work properly. I've tried everything I can think of, from re-seating it to changing out power cables. When I turn the tower on, the fan attempts to spin every few seconds, but ends up stopping every time. Power is going to everything else correctly. I'm out of ideas as to what to do, and I'm starting to think that the problem is a faulty GPU. Anyone have any insight? See if there's something blocking the fans. You might have a piece of shipping plastic that's stopping the fans. If that doesn't work or you can't find anything, try cleaning the area with compressed air. When you reseated the card, did you use the same PCI-E slot on the motherboard? That slot could be dead. Try with other PCI-E slots. Also, it may be bad PCI-E cables. Try with a different PSU, and see if your card acts normally. If not, replace the card. If you have another PC (friend's, co-worker's, or family member's) available, try it on their system to see if it's not the graphics card's fault. I figured out the problem. Now I have a new one. My Hitachi HDD isn't being detected by my motherboard. It sounds like it's attempting to initialize cyclically, but nothing I try makes it detectable. I'm running the H170-Pro motherboard, and I've already updated to the latest BIOS. I made sure the connectors weren't loose. I also connected it to a different computer, which detected it with almost no issues at all. If you are planning to build this, at the time, b&h has the gtx 1060 6gb gaming x w/ backplate for $208. Pc Part Picker shows it for $238 right now but another $15 mail in rebate brinks it to $208. Keep in mind this is usually about a $290 graphics card. Should I get this as my first gaming pc? So i've been planning on getting this build fpr a while now but I could really use your guys' help. I need to this to be Wi-fi capable and possibly have a disk drive. I understand the case can't handle a disk drive so could anyone also recommend an alternative case which is also white? The wi-fi is the main priority, I just don't get what makes one better from the other! Any help would be greatly appreciated! Finally, what display ports does this have (HDMI etc.)? Is it worth waiting till black friday week? If you need WiFi, you'll need a network card. Unless you have very fast internet, your network card should not be the bottle neck as long as you don't cheap out. Most $40 cards should be more than sufficient. But if you plan on using it for online gaming, I would seriously suggest wireless as a last resort as it has much higher latency. How did you come to understand the case can't handle a disc drive? The GPU outputs include 1 DVI-D, 1 HDMI, and 3 display ports. If you click on the items on the parts list you can find specs, compatible parts, etc. And it's absolutely worth waiting for Black Friday. You're not guaranteed to get deals but you only have to hold off another week to find out. 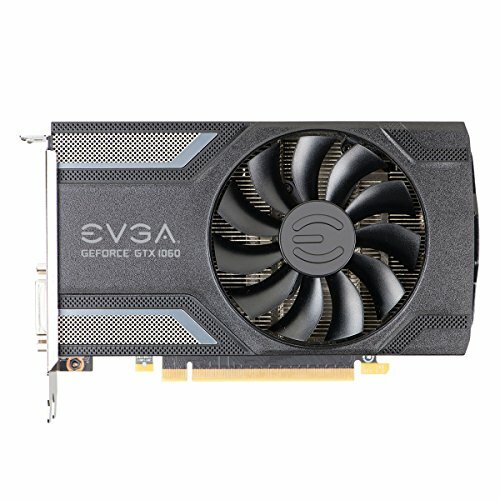 Can I replace the GPU with the GTX 1050? I'm planning to build a PC and I really am on a tight budget. I don't know whether or not I have enough to get a GTX 1060 at the moment, so if it comes to a change in my budget can I use the GTX 1050? You could if you're on a tight budget. I'd also consider downgrading to an i3 and getting a smaller SSD if not scrapping it completely. I'm surprised the entry level build guide hasn't been revised to include a 1050 yet. But keep in mind an i3/1050 build probably won't run most current titles 1080p 60fps in a year or two. So im going to use this exact build to build my first gaming pc and notice it doesn't have a CPU cooler. should i buy one and if so whats a good but cheap one? thanks if anyone could help would be much appreciated. So this build can run Bf1 on high/ultra settings at 60 fps? Also, whats the difference between a mini 1060 and a full sized one? Depends on res. The mini fits smaller cases with a very slight performance drop (<5% lower clock speed). Will I need to buy extra screws and mounts etc to make this, or will they come with the motherboard? Does this have wifi? Sorry for the dumb question but I'm new to this scene. Nope, you would need to add an adapter. What about a DAC? Won't you need that? That depends entirely on your audio setup. Does this not need a CPU cooler? (https://pcpartpicker.com/list/ry23gL) Is this by any chance a good build, its around 1000 dollars if you don't include the monitor. If there are a few things I should change or don't even need for gaming, tell me please. Thanks. I have a question about the Operating System, I noticed you didn't add one to this build. If i'm building a new PC from scratch, will I need to purchase one? Or can I get it free from a PC I currently own? Yes, you will need to purchase one. You may be able to move an old license but it depends on the version. FIRST TIME BUILDER: So I was able to purchase every item on this list, however the i5 processor I bought on amazon says it's only going to come with the processor and not the cooler. I think I still need to get the cooler that comes with it (Cooler Master Hyper 212 EVO). Or do I not need the cooler for this build? HELP PLEASE! This part number is for the CPU and the cooler. If you get sent a CPU without the cooler please contact Amazon and let them know a seller is providing the wrong product. I have sent a report on the product and made a comment on the seller claiming it is CPU only. Why isnt a program like window 10 on the list this is my first time even attempting to build a pc. I have no clue what I am doing. I'm new to this website, my son wants to build a computer, this looks like it would be good for him and is in my budget. Do I need to buy a monitor for this set up or can I use his T.V. ??? Also I have about another 100 dollars to spend, is there anything on the list above that is worth upgrading or is this a pretty good set up for a modest build. He is a beginner, but I don't want to have to upgrade anything 3 months from now, I would rather now. If the TV had HDMI input it will be fine. TVs typically have a slower response time, but unless he's very passionate about video games he shouldn't mind, and even if he did he could save up to buy a monitor in the near future. That $100 will need to be spent on an operating system and a keyboard and mouse if you don't have a set already. You can also buy a DVD drive if you think you'll need one and a wireless network card if you need a Wifi connection. Windows 10 activation codes can be found on Amazon fairly cheap, just make sure the seller looks legitimate. As for future upgrades, this build will run games smoothly for years. After a few years some games won't run on high settings, but you shouldn't need to upgrade for 5-10 years, depending on how fast the technology progresses. If you're planning to build this yourself I suggest you find a family member or friend who is good with computers to help out. If anything doesn't work properly it's a major headache to troubleshoot if you aren't overly tech savvy. Thanks very much, I bought everything needed, a friend is going to help build, I wonder if there are any good sites or you tubes that show a build start to finish. Will the PC work with a different memory type. The motherboard takes DDR4-2133. But the RAM is DDR4-2400. SOOO will it or not??? The memory will simply run at 2133. So it'll run slower than 2400?? Yes, but the difference will not be noticeable in anything outside of benchmarks. is it okay if i use corsair H80i cooling system? I'm new to this website and whenever I check on this build the parts will change a lot and sometimes go back to ones that where there previously, sometimes I will even refresh the page and they will be different. Is this a feature of the website; or is it just the submitter updating the build a lot? I don't know. The build guides use parametric filters which automatically update to the lowest priced products given a specific set of filters/specs. Does it have to be the MINI GTX 1060? Or can it be a the normal one? And would you recommend this build for a complete newcomer in regards of custom pcs? Dude, you aren't forced to buy anything. Yes, it can be any GTX 1060 as long as it meets the physical dimension standard. This case supports all 1060s, as it has a lot of room. Also, would it be safe to run the CPU near max constantly over night/at work without additional cooling? and how about streaming a game like league? i'm thinking about building this pc but i don't see a cooler included. Do i have to buy one if so, wich is recommended for this computer? can I add more another gtx 1060 video card? The 1060 is not SLI-capable. Sorry I'm new to pc building, I wanted to know if I could use the Gigabyte GeForce GTX 1060 6GB 6GB WINDFORCE OC 6G Video Card instead of the mini. No, because even if the RAM's clock speed were to be higher than that of the motherboard support, the motherboard would just downclock the RAM to the point of compatibility. No problem. As we do more and more builds/guides it becomes harder to find original cases. This seems like a very reasonably priced case for all the features it provides and I'd love to see more builders give it a chance.